Closure of wells for safety reasons at Heera field and less than anticipated gain from development and side track wells of Neelam field affected production. Less than anticipated oil gain from new development wells of D-1 field, delay in commissioning of B-193 process platform affected production. Less than anticipated oil gain from Sidetrack Development & Marginal Fields development wells in Mumbai High. Delay in execution of G-1 development project. Ageing of fields resulting decline in reservoir pressure & increased water cut affected production. Consequential effect of bandhs and blockades. Sand ingress and water cut in the wells. 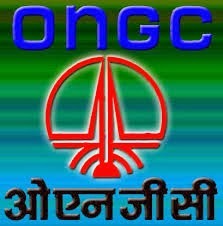 No Oil productions as the wells are ceased in Dholasan & Bhandut field. CB-ON-2003/2 is under development & yet to commence commercial production of oil. Natural decline of the Hazira field. Natural decline and increasing water cut in wells in CB-ON/7 field. Loading of wells, scaling losses, lower delivery from PL Infill wells and closure of MA wells due to leak observed in the MA riser. A statement showing Crude Oil Production during February, 2014 and cumulatively for the period April,2013- February, 2014 vis-à-vis 2012-13 is at Annexure-I. $: Including Coal Bed Methane production. Delay in commissioning of B-193 & SB-14 process platform affected production. Less associated gas production because to less oil production from Sidetrack Development & Marginal Fields development wells in Mumbai High. Delay in execution of G-1 development project. Less than the committed withdrawal of Rajasthan Rajya Vidyut Utpadan Nigam Limited (RRVUNL). Produced CBM is being sold in small quantities as the field is currently under development. Wells have been shut-in to reduce gas flaring and delay in drilling of wells in the Kanawara field. In the Sanganpur field only one well is producing and other two wells are ceased due to water loading. Natural decline of the Hazira field. Natural decline and increasing water cut in wells in CB-ON/7 field. CBM produced in small quantities are being internally used and flared as no market in near vicinity. Produced CBM is being sold in small quantities. KG-OSN-2001/3 field is under development & yet to commence commercial production of gas.Well Mercury is closed due to water loading in PY-1 field. Tapti gas production is less than budget due to non delivery of expected volumes from infill wells and MTA # 3 early water breakthrough followed by loading. A total of 10 wells in D1, D3 and 2 wells in MA have ceased to flow due to water /sand ingress in KG-DWN-98/3 field. Loading of wells, delayed well services activities, delayed delivery of PJ and PL infill wells and closure of MA wells due to leak observed in the MA riser in the Panna-Mukta field. A statement showing natural gas production during January, 2014 and cumulatively for the period April, 2013- January, 2014 vis-à-vis 2012-13 is at Annexure-II. Note: RIL (SEZ) production figures for Dec 2013 prorated figures revised from 3176.902 TMT to 3215 TMT & Jan' 2014 prorated figures revised from 3186.902 TMT to 3140 TMT and Feb'2014 figures are on prorated basis. The crude throughput in IOC (Digboi,Guwahati, Haldia & Bongaigaon), BPCL (Mumbai & Kochi), HPCL (Mumbai & Visakh), CPCL (Manali & Narimanam), NRL (Numaligarh), MRPL (Mangalore), ONGC (Tatipaka), HMEL (Bhatinda) & RIL (SEZ) refineries have exceeded their planned target. The crude throughput in IOC (Barauni, Gujarat, Mathura & Panipat ), RIL (Jamnagar), Essar (Vadinar) & BORL(Bina) refineries was less than their planned target. Throughput is lower because of low crude receipt on account of leakage in Salaya-Mathura crude Pipeline. Throughput is lower due to power interruptions. A statement showing refinery-wise production during the month of January, 2014 and cumulatively for the period April, 2013- January, 2014 vis-à-vis 2012-13 is at Annexure-III. The refinery-wise details of the capacity utilisation during January, 2014 and cumulatively for the period April, 2013 - January, 2014 vis-a-vis 2012-13 are given in Annexure-IV.